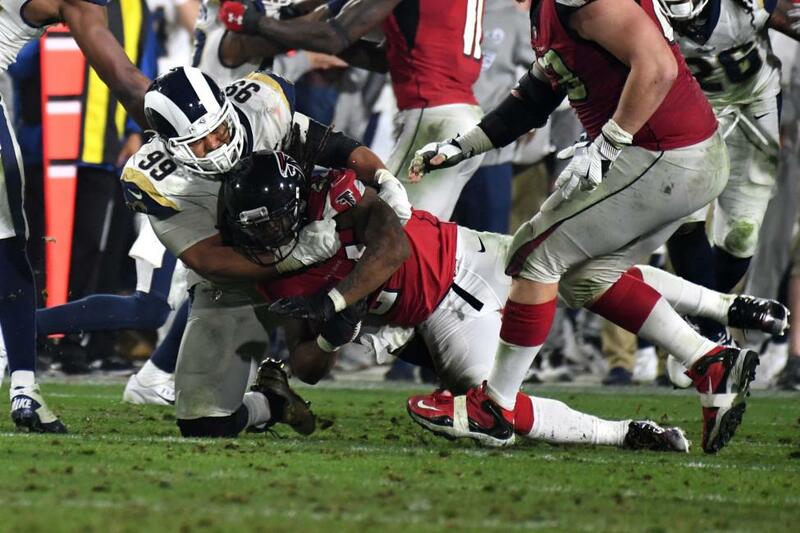 Aaron Donald's holdout can start getting a lot more costly with the Los Angeles Rams set to open their preseason schedule on Thursday night. Donald has yet to report to training camp and skipped all of the team's voluntary and mandatory offseason workouts while he waits for the Rams to negotiate a long-term contract extension. While he can be fined $30,000 daily for missing training camp, Donald can be slapped with a $405,000 fine for sitting out the preseason opener at the Baltimore Ravens. The 2017 NFL Defensive Player of the Year, Donald reportedly is seeking a contract that would top the six-year, $114 million deal signed by Ndamukong Suh in 2015. Donald's salary this year is $6.892 million as part of the fifth year on his rookie contract. [post_ads]The fine for missing Thursday's matchup is based on one game check for his salary. "Nothing has changed since we started this process," Rams general manager Les Snead told the Orange County Register earlier this week. "The goal is still to come up with a win-win situation for the reigning defensive MVP and the Los Angeles Rams, and that's a long-term contract for Aaron Donald." Although Snead said the sides are in the "same zip code, area code, ballpark," it marks the second straight year that Donald has been a holdout. Donald did not report until just before the regular-season opener in 2017, but he went on to record 52 tackles, a team-high 11 sacks, a club-best five forced fumbles, 27 quarterback hits, one fumble recovery and two passes defensed in 14 games. The former University of Pittsburgh standout was selected first-team All-Pro for the third straight year and to the Pro Bowl for the fourth year in a row. Donald has 148 solo tackles and 39 sacks since entering the league in 2014.